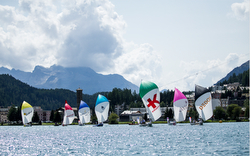 (Hamburg, Germany)- For the first time ever, ninety-five clubs from the National Sailing Leagues will participate in the SAILING Champions League 2019 qualification process that culminates in the SCL Finale to be sailed, yet again, in St. Moritz, Switzerland in August. “The fact that we are hosting three qualifying events shows the growing importance of the SAILING Champions League and also of the National Sailing Leagues”, says the CEO of the SAILING Champions League (SCL), Oliver Schwall, after the draw that took place on Wednesday in Hamburg (Germany). The first qualifier will be hosted by the Club Nautic S’Arenal in Palma de Mallorca, Spain from May 9th to 12th in their fleet of J/80s. In this year’s qualifying events, the SCL will grant “wildcard slots” to the new National Sailing Leagues from Estonia, Portugal, Spain and Belgium. As with all SAILING Champions League events, the racing will be live broadcasted by SAP, with expert commentators providing blow-by-blow analysis of the racing, aided by the detail provided by SAP Sailing Analytics. The SAP Sailing Analytics provide 24/7 additional statistics and data for sailors, fans, spectators and media. Watch how your favorite team performs with GPS tracking, real-time analysis, and the live leaderboard combined with 2D visualization. You will find all results on SAP SAILING (http://www.sapsailing.com)! For more 2019 SAILING Champions League information here Add to Flipboard Magazine.